summer is my favorite season. it’s hot out, we can wear flip-flops, and we get to eat all the amazing outdoor summer food we want (right?!). 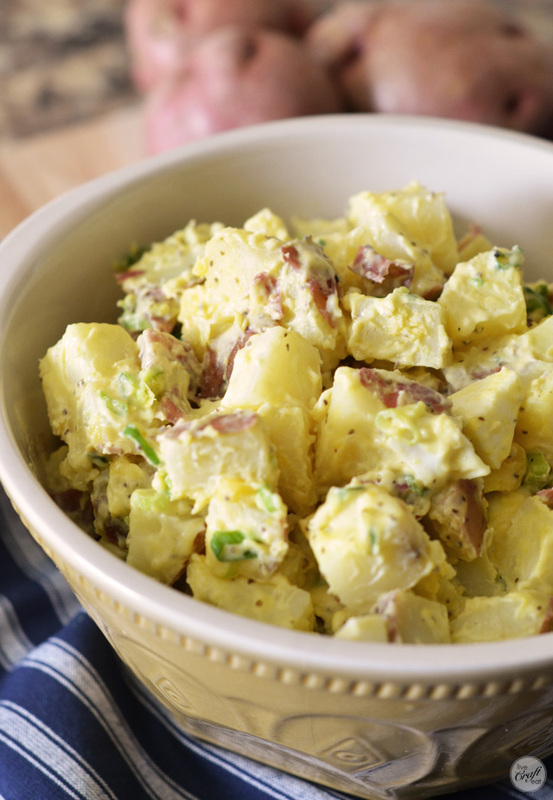 this is one of our favorite potato salad recipes. 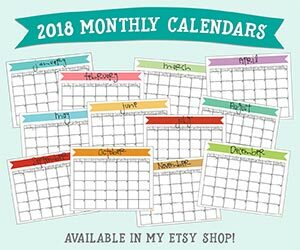 i always make it on a summer holiday like memorial day or the 4th of july because it goes along so great with whatever outdoor meal i have planned. philly cheese steaks, anyone? the best part about this recipe is that it’s a cinch to put together. 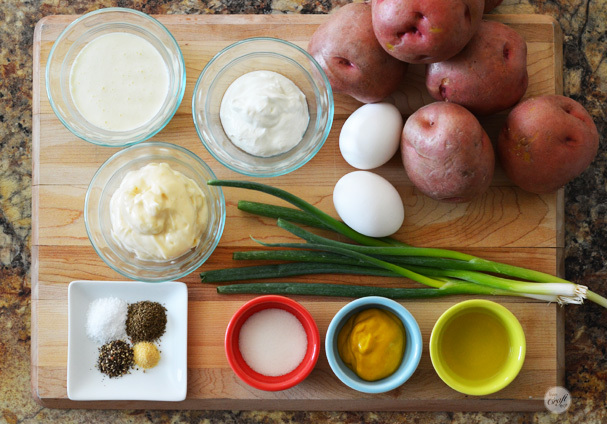 all you need are potatoes (red are my favorite, with the skins ON), hard-boiled eggs, cream, sour cream, miracle whip, green onions, s&p, celery seed, garlic powder, sugar, mustard, and vinegar. and if you’re like me, you’ll also want to add in a couple chopped dill pickles and/or sliced celery! after boiling and chopping the potatoes and peeling and chopping the eggs, all you need to do is throw is throw everything else in a bowl, cover with plastic wrap and refrigerate for a couple of hours. it doesn’t have to be complicated to be good! boil the potatoes in skins until easily pierced with a fork. peel (or not) and cut into 1-inch pieces. peel and chop the eggs and add to potatoes. add pickles and celery, if using. 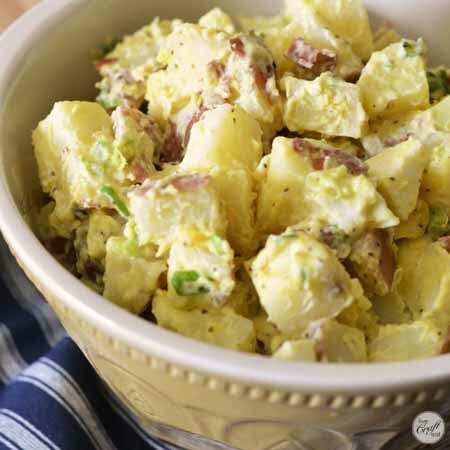 in a small bowl, combine the remaining ingredients and pour over the potatoes and eggs. stir to coat well. refrigerate for a couple hours before eating.